You can now view the Stand Up: Lessons from the Holocaust HERE. The Never Again Coalition will premiere their short documentary, Stand Up! 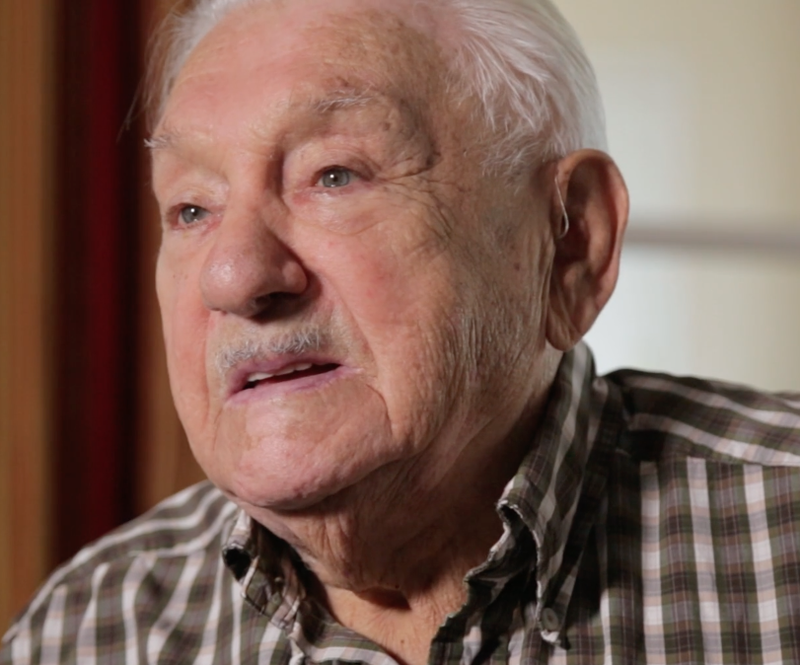 Lessons from the Holocaust, featuring interviews of four Holocaust survivors responding to questions from students. Can their experiences teach us to be upstanders today? Followed by Q&A. Special invitees are documentary participants and videographers. Co-sponsored by OJMCHE, Congregation Neveh Shalom, and Kol Shalom Community for Humanistic Judaism. The documentary will premiere as part of the Oregon Jewish Museum and Center for Holocaust Education's Brown Bag Lunch Series. 12-1pm at 724 NW Davis St. Portland, OR.